As every motorcyclist knows, riding a motorcycle comes with an element of danger and it’s important that you take steps to protect yourself and your bike. One of the best ways that a rider can do this is through an optional insurance policy known as GAP insurance. Some people are unaware, but if your bike were to be written off then your insurance provider would only pay the current market value which, due to depreciation, could leave you short by thousands of pounds. As an example, if your bike were written off after 3 years of ownership and it originally cost £10,000 then your insurer would settle at £4,500. When you have a GAP insurance policy, they will provide the remaining £5,500 so that you will be able to afford a replacement. In addition to this, if the replacement cost is greater than the original purchase price then a vehicle replacement policy will cover the gap between the payout and the new price. This helps you to protect the value of your motorbike and also protects you against the rising cost of new vehicles. GAP insurance is an intelligent purchase to make for any motorist, but particularly motorcycle owners. The roads can be incredibly dangerous and there is a high risk of an accident even if you are a smart rider. In addition to this, a bike will be written off if damaged by fire or stolen (they are often targeted by criminals) and never recovered. Writing a bike off can be traumatic and upsetting so the last thing that you would want would be a payout that wouldn’t allow you to buy a replacement. Motorcycle GAP insurance should always be purchased from a specialist provider. This will help you to find the best deals, the best level of cover and have flexibility in terms of coverage. In addition to providing the best level of cover, this will also give you peace of mind knowing that you are fully protected if you were to be involved in an accident or if the bike was damaged in a fire or stolen. 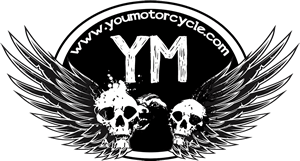 It can be dangerous to be a motorcycle owner and, unfortunately, accidents occur all too frequently and this will often result in the bike being declared a total loss. You need to protect your investment by purchasing motorcycle GAP insurance so that you will not be left out of pocket if the bike were to be written off. Actually, I am very glad I read this! Traded my old 1200 Sportster for a used 1450 Dyna at my local Harley Dealer about 3 weeks ago. 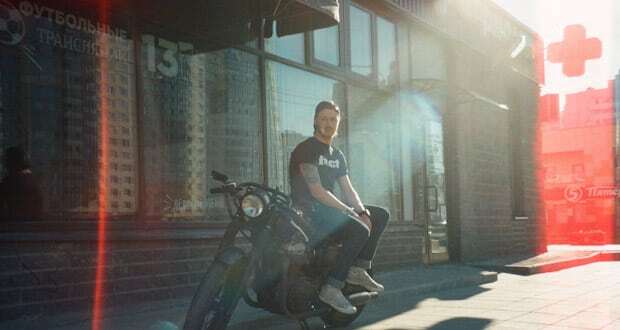 Purchase price was £7,000 but looking at what it would actually cost to REPLACE it, like for like, if anything happened, I’d be looking at spending around £9,000 on a used Street Bob. So, whilst at the dealer’s, they valued the bike for me at £9,100 with an estimated annual depreciation of £200 per year. My Insurance company accepted this as I now had documentary proof, so the bike is now insured for the value of £9,100, NOT JUST MARKET VALUE. Many thanks for pointing this up! Hadn’t even realized you were from the other side of the pond! Congrats on the new ride Mitch! Both bikes sound beautiful. Are you running stock pipes? No! The Sportster was a 1200S Us Import which had Screamin Eagle pipes that were VERY noisy and spat flames on the overrun! The Dyna has a lovely pair of Vance and Hines pipes that make a beautiful sound! Hahaha. Are the V&H of a wider diameter and maybe more baffled? I agree Screamin Eagle aren’t the best, but I’ve had a used bike or two that came with them and it was good enough to avoid the cost of replacing. The Screamin Eagle pipes had NOT LEGAL FOR HIGHWAY USE stamped into the undersides of them. I think they were pretty much straight through pipes. The V & H pipes give a mellow, rolling Bass tone which reminds me of a Dodge Charger I once had the pleasure of driving! The Sporty was a lot of fun, but a little cramped at more than an hour in the saddle. The Dyna is just pure magic in every respect!